I recently stopped Testosterone Replacement Therapy, after injecting 135 milligrams every 10 days (under physician care) for approximately 90 days. I experienced all the ups and downs described on your website. Felt great the first 5 days then downhill after that. I then decided to try the all natural approach. 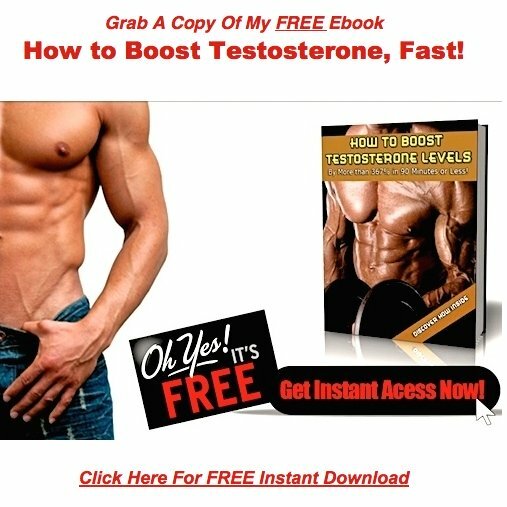 I purchased all 7 of the testosterone boosting supplements, and have cycled them for the last week and a half. 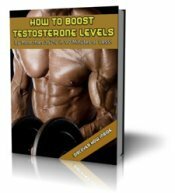 I do not expect the same effects as the TRT, but my question is, can I expect the same libido boosting affects I had with the TRT? I woke up every morning with a rock hard erection and my libido was through the roof while on TRT. I still wake up with an erection, but it's not as rock solid with the supplements. How long would you say it will take to have my T-Levels at an acceptable range? It's going to be a bit more difficult for you in the beginning stages, because of your 3 month Testosterone Replacement experiment. In essence you're going to have to re-train your testicles to start manufacturing the testosterone you were getting out of the needle. This is going to take a little time. That being said, the fact that you are still waking up with morning wood is a very good sign. This tells me your body hasn't given up the ghost entirely...that's it's still fighting to keep your reproductive system alive. I can't tell you exactly how long all of this will take, but I can say, weekly or even daily improvement is entirely within your reach. Especially if you do more than just cycle the Herbal Testosterone supplements.